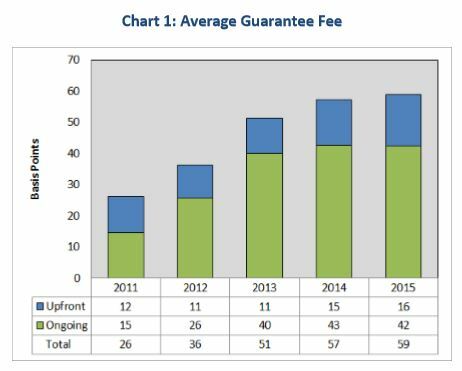 The guarantee fees, also known as g-fees, charged by Fannie Mae  and Freddie Mac  leveled off in 2015 after more than doubling in the prior five-year period, according to the FHFA’s annual report  on the fees to Congress, released Monday. 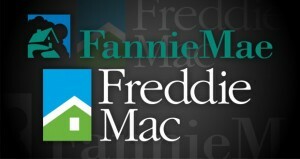 The FHFA is required by the Housing and Economic Recovery Act (HERA) to submit a report annually to Congress on g-fees, which are intended to cover costs that Fannie Mae and Freddie Mac incur for guaranteeing the payment of principal and interest on single-family loans they acquire from lenders. The average single-family guarantee fee rose by just two basis points in 2015, up to 59 basis points. A comprehensive review of the adequacy of g-fees charged by the GSEs completed by the FHFA in April 2015 found “no compelling economic reason to change the overall level of fees. The FHFA did, however, direct the GSEs to make certain adjustments effective with September 2015 deliveries. One of the specific changes the FHFA directed the GSEs to make was eliminating the 25-basis point upfront adverse market charge (in place since 2008) and replace revenue lost from eliminating the charge with changes to other upfront fees, addressing risk-based and access-to-credit considerations. “Overall, the modest changes were approximately revenue neutral for the Enterprises,” the report stated. According to the report, acquisitions showed an improvement in expected profitability measured in the difference between the charged g-fee and modeled costs—including targeted return on modeled economic capital that has been calculated for these loans. Click here  to view the FHFA’s complete report.